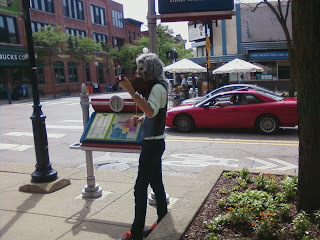 The infamous Violin Monster busking on Main and Liberty. That mask must get hot. Me + Violin Monster = awesome photo in A2!